Gwinnett Great Days of Service developed out of the CEO Breakfast in 2000. The purpose of the CEO Breakfast was to teach local business leaders about the issues in Gwinnett and provide them with ways they could give back. 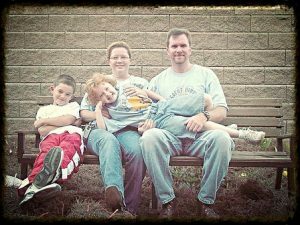 Paige Havens, a local community citizen and corporate volunteer, is credited as the creator of the Gwinnett Great Days of Service (GDOS) for the Gwinnett Coalition of Health and Human Services. 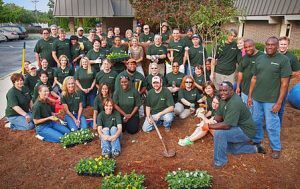 In 2000, GDOS started with just 1 Day Of Service + 10 Projects + 100 Volunteers to create a new era of engagement and volunteerism in Gwinnett County. 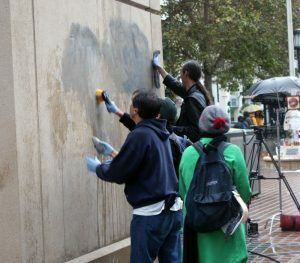 Today, over 90,000 volunteers consisting of individuals, students, corporate groups, and youth, religious, and civic organizations gather to participate in 2 Days of Service + over 400 Projects + more than 95,000 Volunteers to create nationally the biggest volunteer service event in the country! 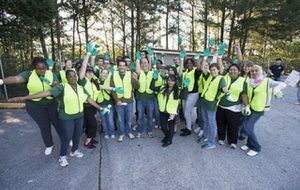 Gwinnett IS a County That Gives Back! Find out more in our FAQ section!